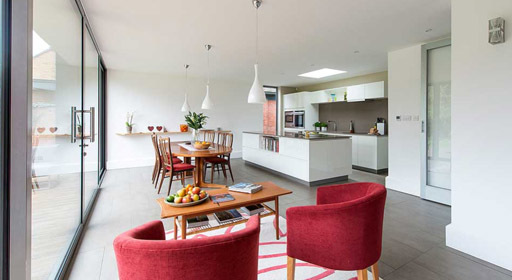 so you are able to enjoy fantastic, uninterrupted views, regardless of the weather. 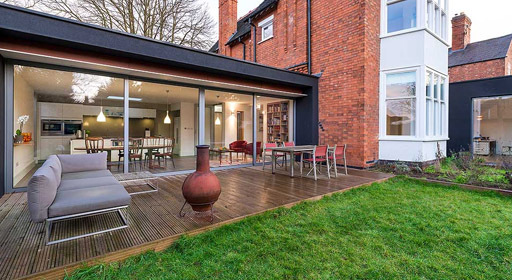 Both the SVG35 & SVG83 aluminium sliding doors from Sunflex are ideal for larger apertures where you can have much larger glazed panels and slim sightlines. 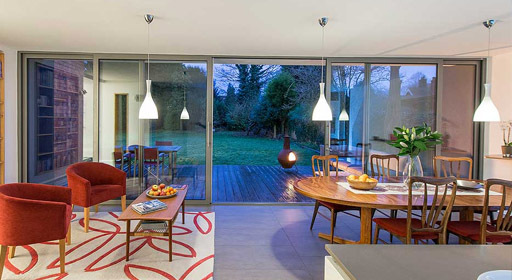 At Devonshire Bifold Door Company we offer a range of fantastic aluminium sliding doors, ideal for an array of applications. So, whether you are based in Devon or elsewhere in the South West or across the United Kingdom, we will find a solution to suit your individual requirements. 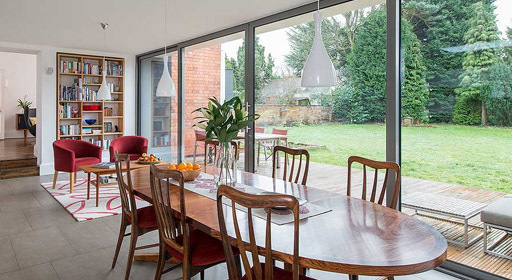 With a light weight, smooth and quiet operation, our range of aluminium sliding doors from Sunflex are perfectly suited to a wide range of applications and environments. Removing the need for a lift and slide operation, our adjustable double wheel running carriages mean it is possible to slide multiple panels in one direction. What's more, with excellent security features as standard, Sunflex SVG35 and the upgraded SVG35 range provide peace of mind when it matters the most. 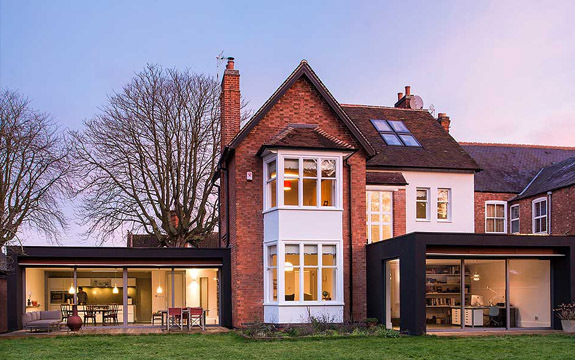 We stock aluminium sliding doors from SUNFLEX including both the SVG35 and SVG83 ranges to provide flexibility and versatility for our clients. 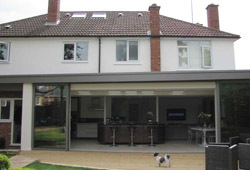 As local Devon specialists in sliding doors, we offer helpful and informative advice and provide free no obligation quotations to all. 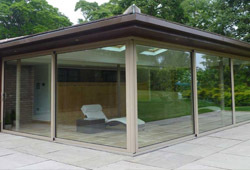 Want to see our range of Sunflex sliding doors in person? Why not pop along and visit our Devon based showroom in Newton Abbot, Devon or call now on 01803 897 568 to speak with one of our specialists. 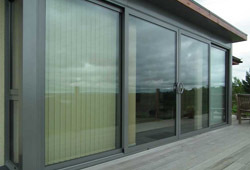 Our friendly team will visit your property, professionally measure up at your convenience before installing your chosen Sunflex sliding doors. Let us help you achieve the look you've always dreamed of.